with the students when I arrived this afternoon. They are currently working on words ending in -ck, -dge, -ing, and -ed. 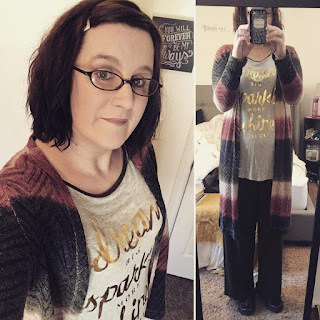 During her lesson, I took ample notes to help me put together what I will be doing with the students while I am observed by my professor and CT. This will be a quick run through of the rules and some practice before their spelling test. They have really struggled with these word patterns, I am hoping that I can give them some assistance in the right direction. Since it is a short week, the second grade team is completing some science lessons to assist the students to meeting some standards this quarter during Response to Intervention (RTI) time. The students will be staying together as a class and will be taught a different science lesson by each one of the teachers. My CT is doing a lesson on the Sun, another teacher is completing the life of a butterfly, and I think the other teacher is doing it on the water cycle. During prep the discussed the final details of how this is going to work. I really like how the team is working together to meet the needs of all of their students. Next week, the students will be in new groups based on their latest assessment. During recess two of the students stayed inside and sat with me at the small group table to visit. We talked about random things: basketball, football, losing a shoe, someone stealing a jacket, basketball practices on Saturdays, and more. The two students did most of the talking, I just sat back and listened. When the video portion was over she wanted to hear what the students learned. They had a small discussion about any questions they may have had. Then she passed out a post it note for them to write something they learned about the sun during conversation or in the video. When they were finished, she placed a chapter from their Science book on the document camera. The students did a choral reading of the section. She used the laser to point to the words so everyone would stay together. Unfortunately, some students decided to make a race out of it and read faster.. which caused much confusion for the entire class. Choral reading is a great strategy for small groups, where I have seen it work. However, it was very difficult to get 21 students to read the same thing at the same time out loud. WHile reading, my CT pointed out the Chapter Title, Heading & Subheadings to assist them in reading expository texts. At the end of their reading (and re-reading) my CT checked for comprehension of the reading with the question: Why is the sun so important? They were instructed to write the answer on their piece of paper and bring it to her when they were finished. My CT stated that most of the responses were really thought out and showed they were engaged with their activity. A few of them were vague in their descriptions and she will have a discussion with those students so she is satisfied with their takeaways from the lesson. The counselor came in to finish the school day with a lesson on Apologizing. 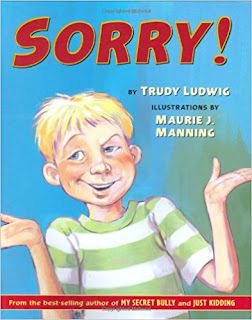 He read the story, Sorry by Trudy Ludwig. He began the lesson by asking the students if they ever did something that they had to say sorry to someone. He then asked how did the apology go? Many students responded with their stories. After reading the story, the counselor pointed out the character in the book who watch the boy do something wrong and labeled him a bystander. The students talked about what it meant to be a bystander and then discussed what the character should have done instead. In addition, he also discussed what happens when the word sorry is not good enough. They discussed how the person who does wrong should apologize, but also make the wrong situation right again. I really liked the conversation the students had about apologizing, being a bystander, and what to do when you do something wrong to another person. This is a social skill that many students can benefit from. What other ways can you teach valuable social skills in the classroom? Please let me know in the comments!